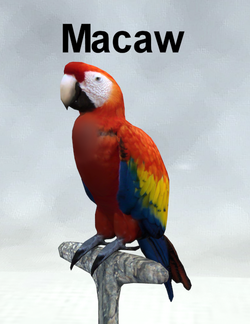 A prop of a Macaw (type of bird breed) in a perching pose. Included is also the perch. This page was last edited on 3 September 2018, at 04:59.